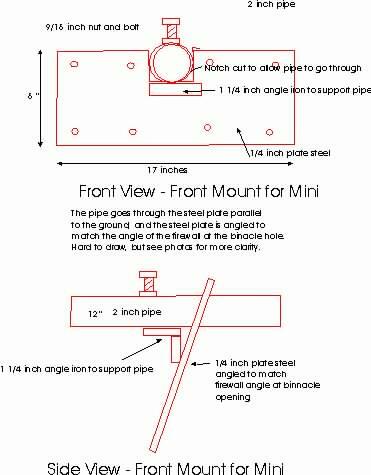 This is the drawing of the front mount. This bolts to the firewall allowing the 2" tubing to pass through the binnacle hole. The 1/4" plate steel is angled and bolted to the firewall (using existing holes), after cutting out a 2 x 2 inch notch in the top. The pipe is then placed in the notch, and pivot pipe is fed through and aligned. 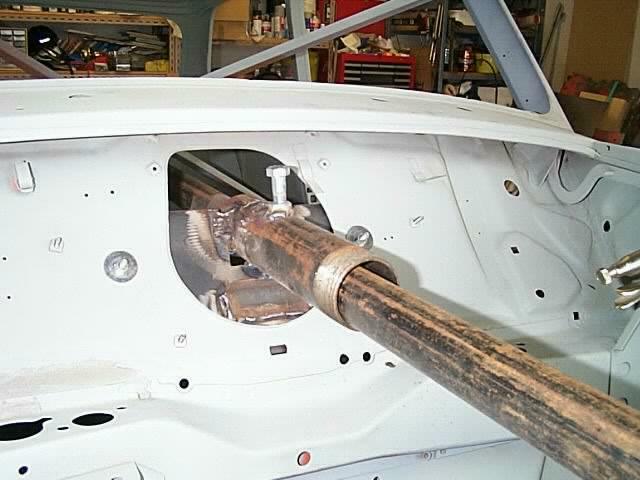 You can then tack weld the pipe in position and this ensures you have the correct angle. Remove the plate and tube and finish the welding. Notice this also has a locking nut and bolt, and there is a small peice of angle iron added for extra support. Here is the finished front mount. Notice the angle iron underneath the pipe. This was welded in place to add more strength to the pipe support. By having the nut and bolt setup here , this allows you to insert and remove the pivot pipe as required, adjust the length out the front and rear and lock it in place. 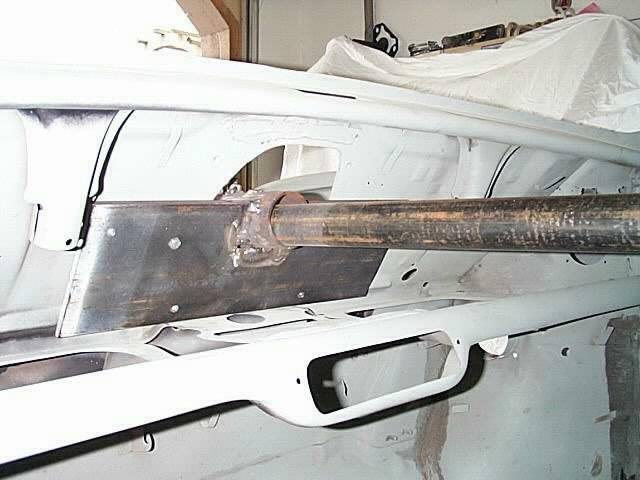 The picture below shows the front mount from the inside of the car.